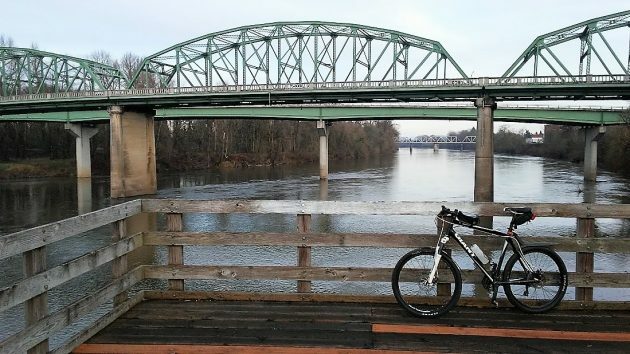 Keeping the Willamette River clean is the ostensible justification for new requirements on storm water. 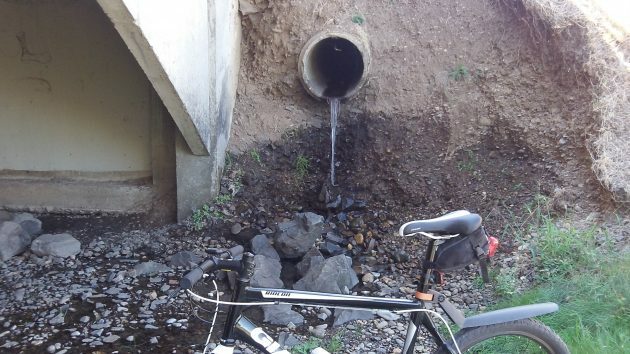 The Oregon Department of Environmental Quality has published a draft of new regulations to control the discharge of storm runoff by Albany and other towns. Whether this actually cuts down on pollution is hard to predict, but it almost certainly will add to the city’s costs. The anticipated expense was one main reason why Albany started collecting a mandatory storm water utility fee — a “rain tax” as I have called it — in March 2017. The idea of the new permit is to reduce contaminants carried into local streams when it rains. To that end, the DEQ is proposing new rules for so-called small municipal separate storm sewer systems or “MS4.” Albany, Millersburg and Linn County are among seven jurisdictions affected for the first time because of population growth. Corvallis and Benton County were covered by a permit issued under previous rules. That permit expired in 2012, and it has taken DEQ since then to come up with the new one. On the surface, the provisions don’t sound draconian. Albany and the other new “registrants” — the DEQ’s term — have until July 2023 to put in place programs for public education, public involvement, controlling runoff from building sites during and after construction, detecting and preventing illicit discharges, and carrying out “good housekeeping” in municipal operations. Each of those activities, though, requires plans to be submitted and approved by DEQ, which also is asking for annual reports. And then there are specific requirements that each of the plans must meet. In a city of Albany’s size, this easily could require two or three people to manage and keep track of it all. In areas not served by sanitary sewers, the city would have to do surveys to detect malfunctioning septic tanks and then make sure they get fixed. The draft permit takes pains to mention penalties. The DEQ can impose civil penalties of up to $25,000 per day for any violation of the permit. In addition, water pollution in the second degree is a class A misdemeanor punishable by a fine of $25,000 and a year in jail, with each day being a separate offense. For second and subsequent violations of the permit, the federal Clean Water Act allows penalties of up to $50,000 per day of violation plus two years in prison. If water pollution is serious enough, it can be prosecuted as a felony under state law, punishable by a maximum fine of $250,000 plus 10 years in prison. Think of that if you’re ever tempted to pour something illicit down a storm drain. The permit would obligate Albany to investigate “dry weather” discharges from storm drains like this one on Cox Creek on Labor Day 2016. I’m not going to put Tide powdered laundry soap on the moss that forms on my driveway and sidewalks,….leaving it for quite some time and then hosing it off. I will just learn to love moss!! Thanks for letting us know, so that I can avoid a fine. I don’t want to risk washing the Tide into the storm drains because a neighborhood cat might have peed on my driveway and that pee would get into the drain. I wouldn’t worry too much about a non-phosphorous detergent. I suspect that the regulators are more concerned with fertilizer runoff. Granted the cats can create a stink, but only an untraceable volume. This was by far the best thing he did while in office. Wait! What about the gun control act of 1968? I like urinating in the bushes as much as the next guy but that act was pretty good! Article 11 section 15 of the Oregon Constitution would indicate this is an unfunded mandate. The city can choose to participate, and charge us for it, or they can choose not to participate, and choose not to charge us for this new program. Should have been written as article Xl…. Thanks Roger for reminding us that State regs must be grounded in Fed Regs ; otherwise the State can’t blame it on the Feds which means State must pay the costs. The local bureaucrats including City staff tend to require high cost solutions. Staff decisions must be controlled by the Council so I hope residents will influence the Council to keep rate payer’s interests foremost. Thanks Roger. You are indeed a protector of the people.